The collect and readings for Proper 19C, the Sixteenth Sunday After Pentecost, may be found here. The appointed gospel is Luke 15:1-10. “This fellow welcomes sinners.” It was not just an observation it was an accusation. It was well founded. It came from scripture. The same ones we read. Scripture taught them to avoid sinners and unbelievers, to not listen to them, and to not touch anyone or anything unclean. After all there are standards you know. And there are just some people you shouldn’t hang out with. The Pharisees and scribes knew well the standards and were more than clear when it came to their belief about God. Throughout the history of the church we have struggled to establish those standards and define our beliefs about God. We have put a lot of effort, time, money, sometimes even blood, into discovering and defending what we believe about God. Our answers to that question often focus on who is in and who is out. When that happens we hear today’s gospel as being about the lost sheep and the lost coin. But maybe that’s not its focus. 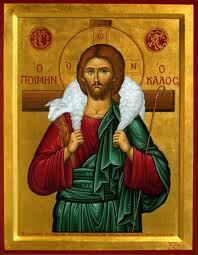 Maybe this gospel is more about the searching shepherd and the sweeping woman than it is about the sheep and the coin. Lost sheep and lost coins are nothing new. It happens all the time. But a shepherd who risks everything for one lone sheep? That is something new and different. That is something worth talking about. When the focus is on the searching shepherd and the sweeping woman then what we believe about God gives way to another question; perhaps a more crucial question: What does God believe about you? About me? A prodigal son, a sheep, a coin. Intentionally, unintentionally, through our own fault or sometimes just the circumstances of life we have all, at some time and to some degree, been lost. Every one of us could name the pieces of our life that have been lost over the years. Sometimes it seems we even lose our entire self – not knowing where we are going, what direction to look, or what is next. Ultimately, completeness, wholeness, union have been lost. In our lostness we live fragmented lives. We get lost in our fears and grief, our worries and anxieties, in anger and prejudice, our need for perfection and approval. We get lost when the circumstances of life overwhelm us and we are just too tired to go on. Sometimes we are lost in our sin and guilt. Other times it is the disappointments and regrets of life. To be lost is to live without a sense of grounding. We have no anchor or ties to something beyond our selves. Relationships are broken and we stand alone in a life marked by spiritual vertigo. God’s longing for completeness, wholeness, and union causes God to search. The creator longing for the created. The divine longing for the human. The lover longing for the beloved. A shepherd searching for a sheep and a woman sweeping for a coin. That longing lies at the heart of the parables Jesus is telling us. There was a shepherd who had one hundred sheep, more sheep than any other shepherd had. But the shepherd knew them all, individually, by name. It was the perfect number. There was completion, wholeness, and union. One of the sheep became lost. Completeness, wholeness, and union were lost. The shepherd did not want to replace the sheep. It could not be replaced. It was unique and irreplaceable. The shepherd wanted that one sheep back. So the shepherd left the other ninety-nine in the wilderness and searched for the one. The shepherd risked everything for the one. The shepherd searched until he found the lost sheep. The shepherd carried the now found sheep home. There was great rejoicing – there was again completeness, wholeness, and union. There were again 100 – there was again perfection. Look at how the shepherd acts towards the sheep and see how God loves God’s people. The shepherd initiated the search. The shepherd did not wait for a cry of help or the attack of the wolf. One was missing. One was lost. That was enough. God does not wait on us. God is always coming to us. God is the seeking God. It did not matter which sheep was lost, its size, value, or worthiness. It is priceless. It did not matter that there were ninety-nine others. It mattered that it was the lost sheep. True, it is only one sheep, one out of a hundred. But for the shepherd it is the only sheep. That is the way of God’s love. God gives and risks everything for the one without taking away anything from the others. For without the one the other ninety-nine are also lost and incomplete. There was no judgment of how or why the sheep became lost. No blame for getting lost. No conditions or prerequisites for coming home. The only judgment was that the sheep belonged with the shepherd and the shepherd wanted it back. The shepherd searched until he found the lost sheep. The shepherd’s success was never in question. The shepherd would find the sheep. The shepherd had to find the sheep. For neither death, nor life, nor angels, nor rulers, nor things present, nor things to come, nor powers, nor height, nor depth, nor anything else in all creation, will be able to separate us from the love of God in Christ Jesus our Lord. This story does not make much sense in today’s society. So much is disposable and temporary. Everything from diapers to relationships. If something is lost or broken we buy a new one. Just replace it with something bigger, faster, better, newer. Who in their right mind risks everything for the possibility of one per cent? We think in numbers, size, quantity, cost-benefit analysis. Yet it is precisely because we think in those terms that the story does not make sense. Our thoughts are not God’s thoughts. Our ways are not God’s ways. So what does God believe about you? About me? For God each individual is unique, priceless, and irreplaceable. Every one of you is unique, priceless, and irreplaceable. Everyone you meet in the upcoming week is priceless, irreplaceable. The stranger on the street and the enemy on the other side of the world – they too are unique, priceless and irreplaceable. “This fellow welcome sinners.” They were right, thank God. The accusation is both true and the good news of the gospel. But they did not quite understand everything. Not only does that fellow welcome us he searches for us. No matter who we are or how lost we have become, regardless of the things done or left undone we will be found. We are loved and desired. We will be carried home to the rejoicing of the heavens. Why? Simply because we were lost and God cannot do otherwise. That is the reality and the foolishness of divine love. Everyone matters. Everyone belongs. Great insight. Everyone and everything belongs. I cannot ultimately exclude any part of my life for it is all that has formed me the wheat and the tares make up the whole harvest. Thanks for your insight once again. John, thanks for reading my blog and leaving a comment. I like what you say about the wheat and tares. Even our lostness has something to offer us. Always grateful for you. Thank you, again, dear Michael, for the grace-giving word which implies the Great Mystery’s love for me, for those different from me, and EVEN FOR MY ENEMY!!! I am so grateful that you are willing to speak this word to us. I pray that more of us can know that the Holy One’s love includes ALL. And yes, I need to be reminded often and to know that that LOVE is for me, too. Thank you. Jan, your comment points to the tension we must carry. Yes, we are unique, priceless and irreplaceable but not at the expense of someone else being unique, priceless, and irreplaceable. Everyone belongs. Always good to hear from you. Thank you. I stumbled across this today in looking for verses about being irreplaceable to God. I could lie and say I was looking for a friend however, I was challenged by a good friend and spiritual leader of mine to search out God’s truth about my personal value to him in wake of some recent circumstances of life. until now I have come up empty handed. If you know of any specific verses regarding one’s irreplaceability to God, Please pass them along to me. Katie, I am glad you found my blog and I hope it was helpful. I am not aware of specific verses regarding one’s irreplaceability to God. When we are unable to see our own value to God perhaps it is because we are looking with our own eyes and do not see what God sees. I am not aware of specific verses regarding our irreplaceability to God but there a some that point to what God sees in us. You might ponder the following: Genesis 1:26-31 (created in God’s image and likeness), Psalm 139 (God knows us), and Luke 12:22-32. I am a regular reader of your sermons. Thank you John. I appreciate you reading my blog.